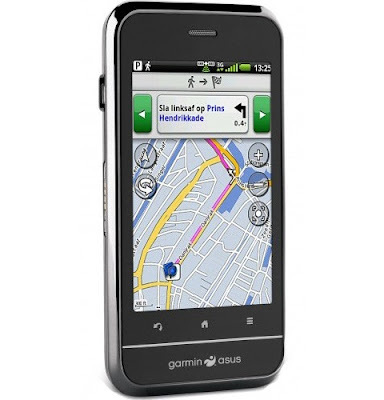 International mobile brand Garmin-Asus had launched its super navigation smartphone “Nuvifone A10” in India. The phone can be fetched at a price of Rs.18,990 in all the big cities of the country initially viz. Mumbai, New Delhi, Kolkata, Hyderabad and Banglore. The Android 2.1 OS powered A10 is a touchscreen smartphone equipped with 3.2” wide touch display that displays 256K colours at a resolution of 320X480 pixels. The operating system is upgradable to Android 2.2 at user’s discretion. The phone has been designed keeping in mind the needs of professionals who are on frequent tours and travel extensively. Thus, Nuvifone A10 has features to suit their needs. The most highlighted feature is its voice-guided navigation feature. In fact, smartphone has to offer both in-car and professional pedestrian navigation features. For people who are passionate about photography, it is also pre-armed with a 5 megapixel camera. The phone facilitates its users with a unique feature like geotagging which enables them to navigate to a place which has been geotagged by simply clicking on it. 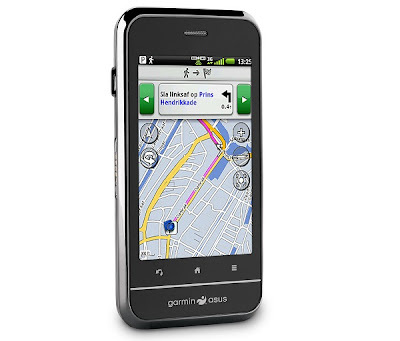 The inclusion of these makes it the first most powerful android based Navigation smartphone of India. Is it not superb, a healthy photography-navigation feature mix? For frequent travelers, phone has also been equipped with 4GB of in-built storage which is further expandable to an upper limit of 32 GB. There is 512MB of RAM and 512MB of ROM in the handset. For data connectivity and browsing on Asus-Garmin Nuvifone A10, there is HTML browser and it is also GPRS/EDGE enabled. It is also a 3G handset in HSDPA configuration. There is Bluetooth v2.1 with A2DP and microUSB for local data transfer. There are SMS, MMS, E mail and Push E mail features for messaging and keeping in touch with friends and family. It is also incorporated with some cool features for its esteemed users that enable them to know flight status, connected services like Ciao, currency convertor and weather updates. A10 comes with a 1500mAh battery which ensures a good battery backup and ample talktime to its users.